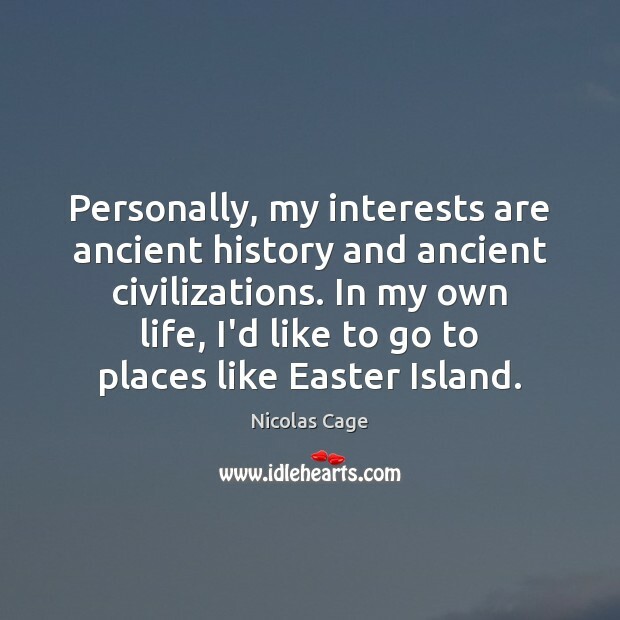 Quotations about Ancient History. Quotes to stimulate mind and drive action! Use the words and quote images to feed your brain inspiring things daily! 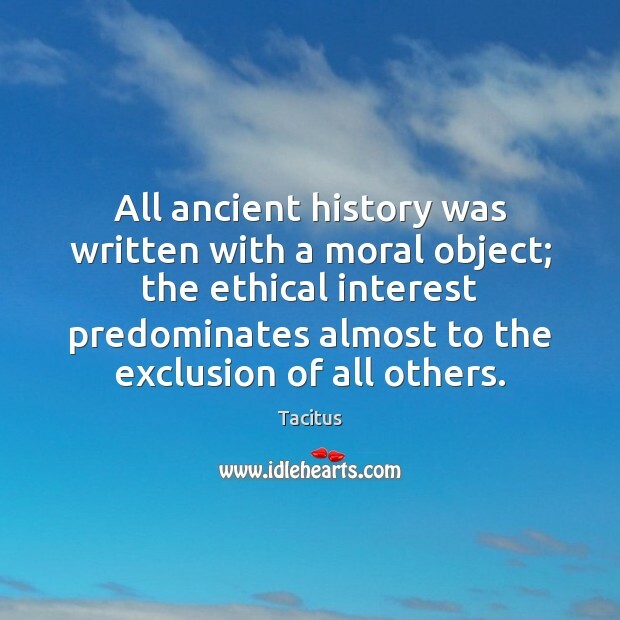 All ancient history was written with a moral object; the ethical interest predominates almost to the exclusion of all others. 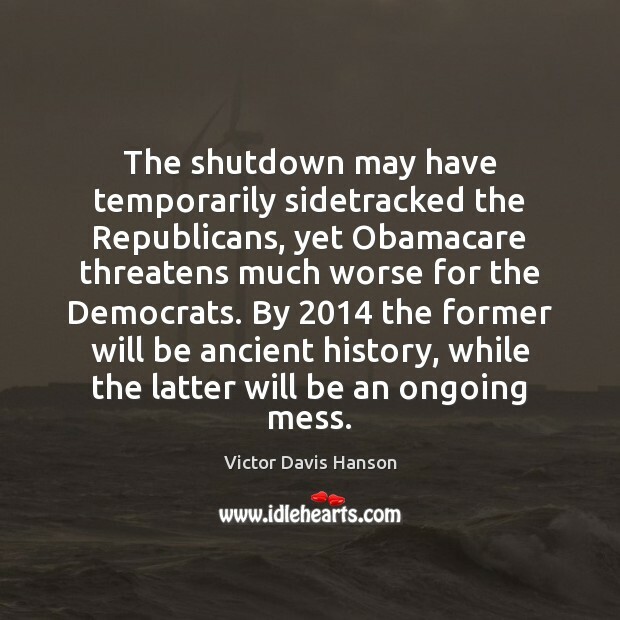 The shutdown may have temporarily sidetracked the Republicans, yet Obamacare threatens much worse for the Democrats. By 2014 the former will be ancient history, while the latter will be an ongoing mess. 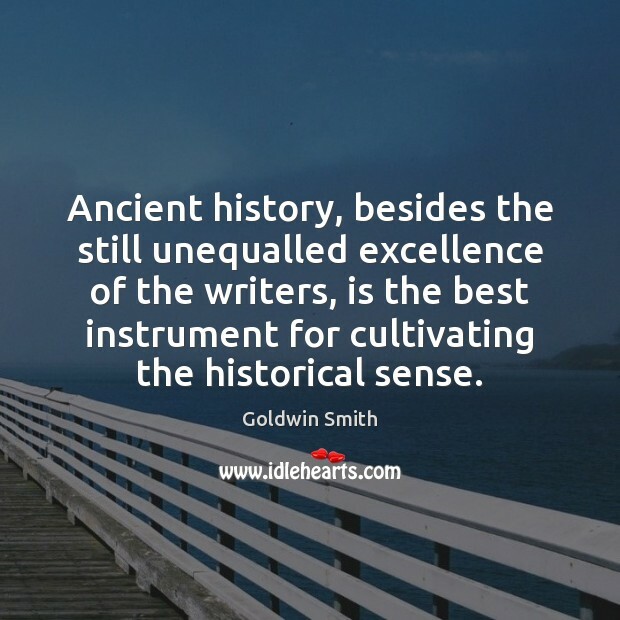 Ancient history, besides the still unequalled excellence of the writers, is the best instrument for cultivating the historical sense. 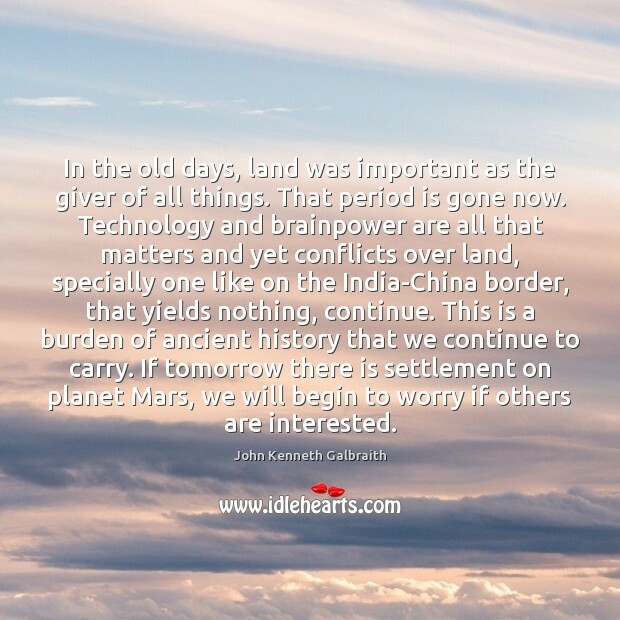 In the old days, land was important as the giver of all things. That period is gone now. Technology and brainpower are all that matters and yet conflicts over land, specially one like on the India-China border, that yields nothing, continue. This is a burden of ancient history that we continue to carry. If tomorrow there is settlement on planet Mars, we will begin to worry if others are interested. Our family arrived in England in 1960. 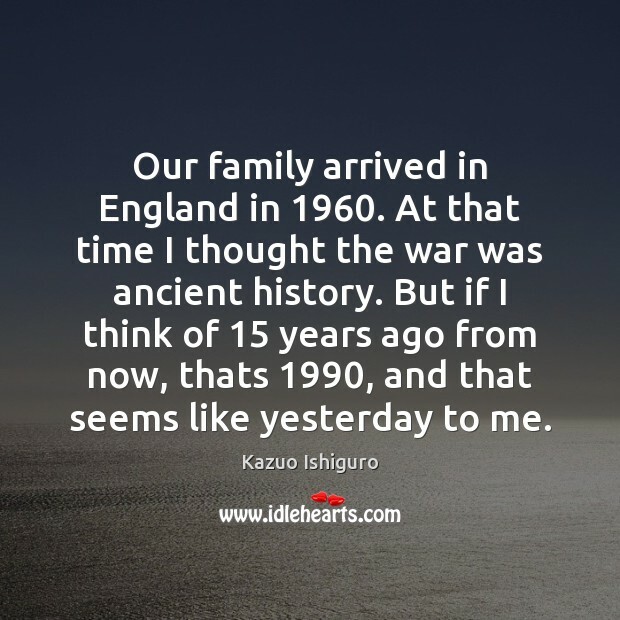 At that time I thought the war was ancient history. But if I think of 15 years ago from now, thats 1990, and that seems like yesterday to me. 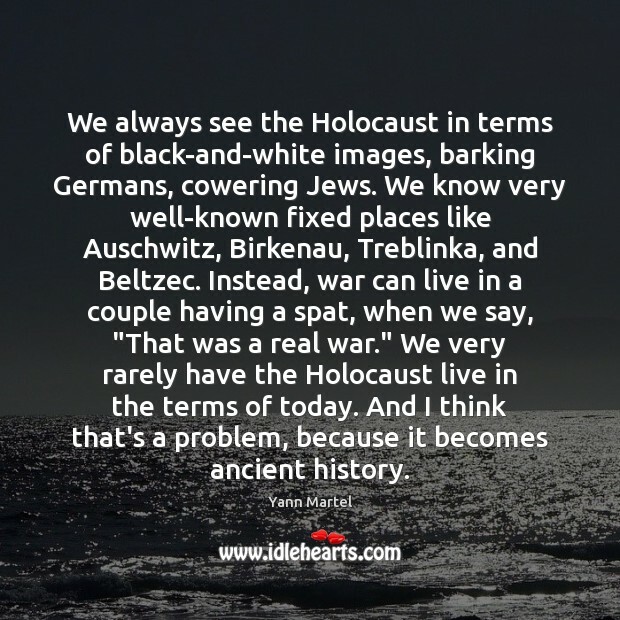 We always see the Holocaust in terms of black-and-white images, barking Germans, cowering Jews. We know very well-known fixed places like Auschwitz, Birkenau, Treblinka, and Beltzec. Instead, war can live in a couple having a spat, when we say, "That was a real war." We very rarely have the Holocaust live in the terms of today. And I think that's a problem, because it becomes ancient history. 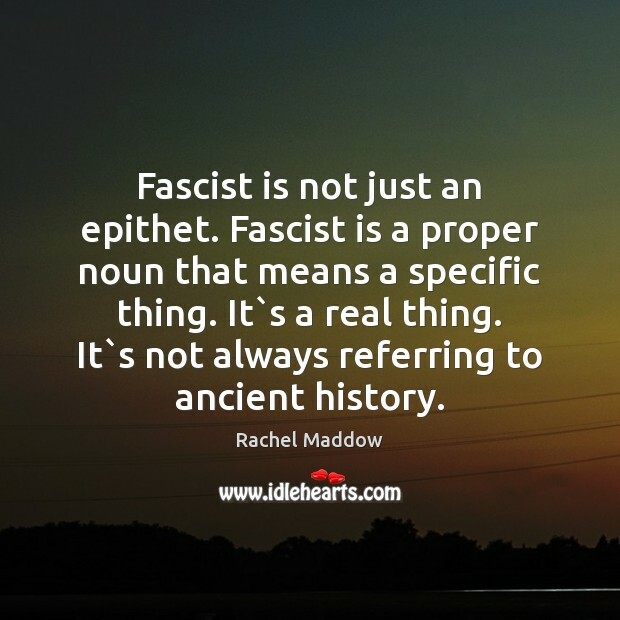 Fascist is not just an epithet. Fascist is a proper noun that means a specific thing. It`s a real thing. 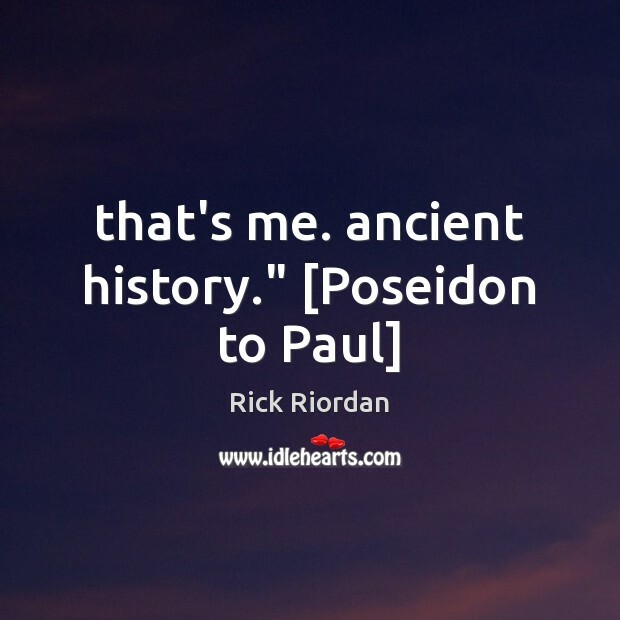 It`s not always referring to ancient history. History, when they do it, is ancient history, and they sensationalize even that. 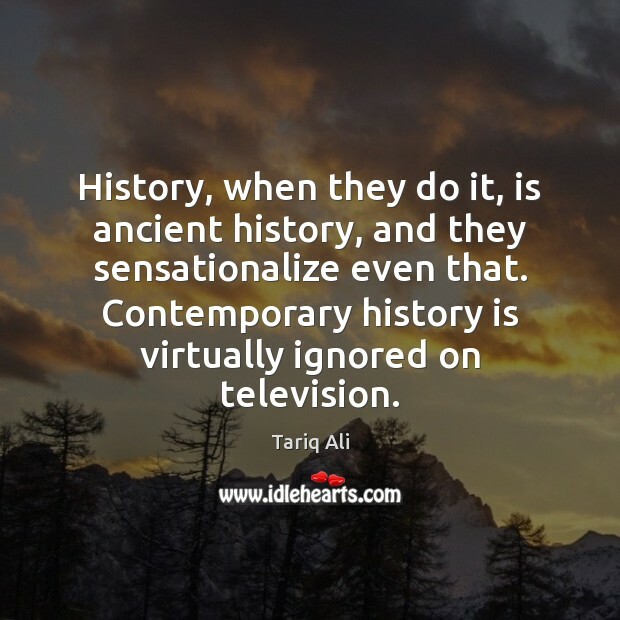 Contemporary history is virtually ignored on television. 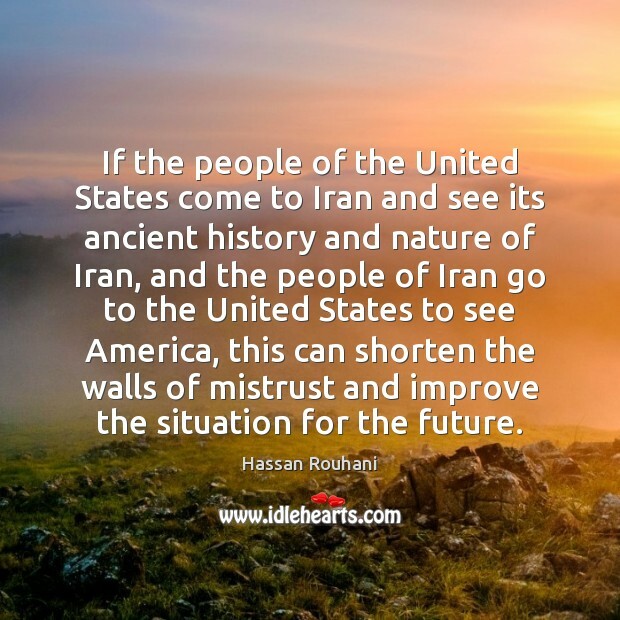 If the people of the United States come to Iran and see its ancient history and nature of Iran, and the people of Iran go to the United States to see America, this can shorten the walls of mistrust and improve the situation for the future. Nobody brings ancient history and archaeology to life like Adrienne Mayor. 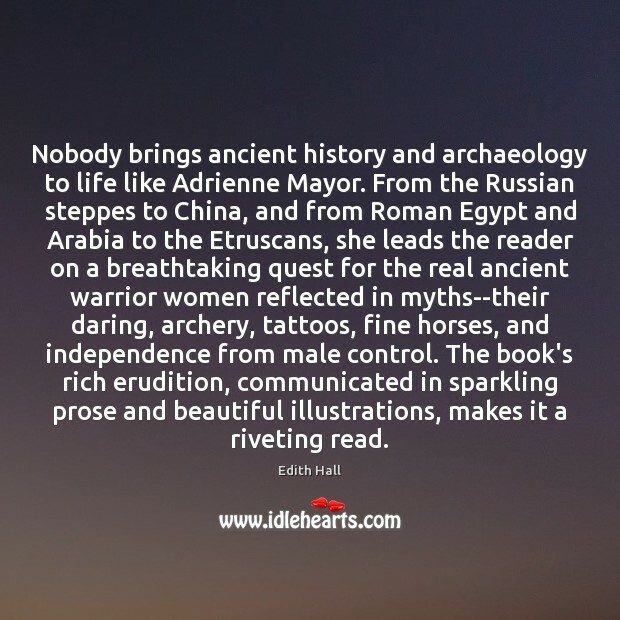 From the Russian steppes to China, and from Roman Egypt and Arabia to the Etruscans, she leads the reader on a breathtaking quest for the real ancient warrior women reflected in myths--their daring, archery, tattoos, fine horses, and independence from male control. The book's rich erudition, communicated in sparkling prose and beautiful illustrations, makes it a riveting read. 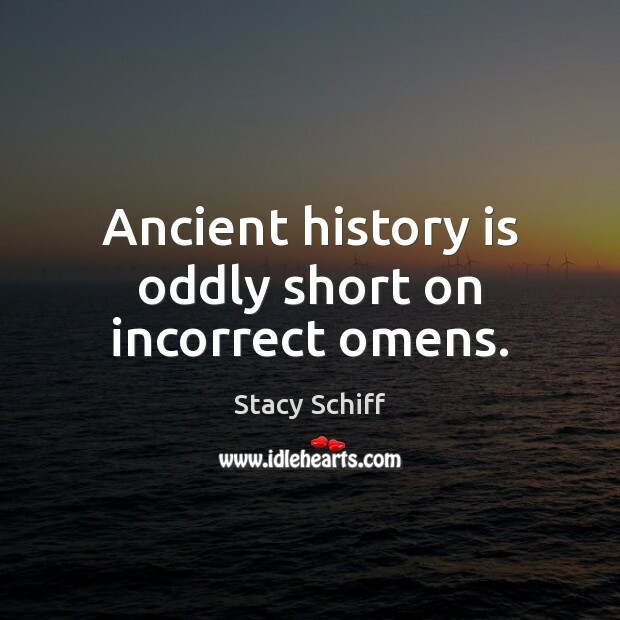 Ancient history is oddly short on incorrect omens. 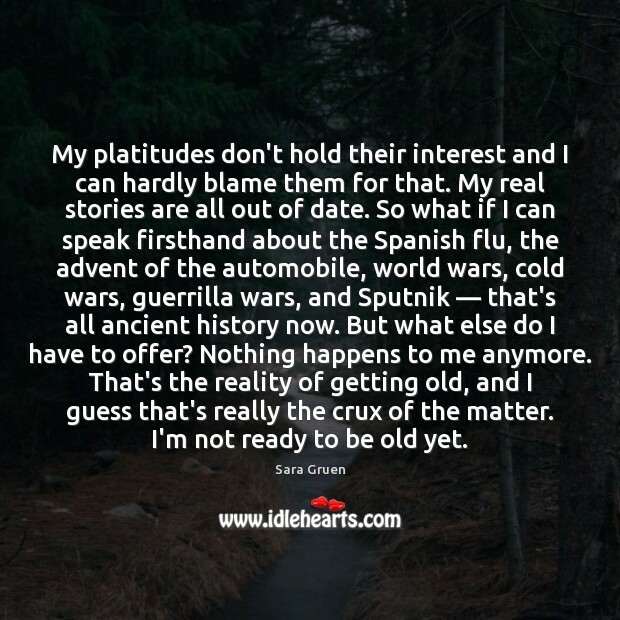 My platitudes don't hold their interest and I can hardly blame them for that. My real stories are all out of date. So what if I can speak firsthand about the Spanish flu, the advent of the automobile, world wars, cold wars, guerrilla wars, and Sputnik — that's all ancient history now. But what else do I have to offer? Nothing happens to me anymore. That's the reality of getting old, and I guess that's really the crux of the matter. I'm not ready to be old yet. You can have the most advanced and efflorescent cultures. Get your politics wrong, however, and everything stands to be swept away. This is not ancient history. 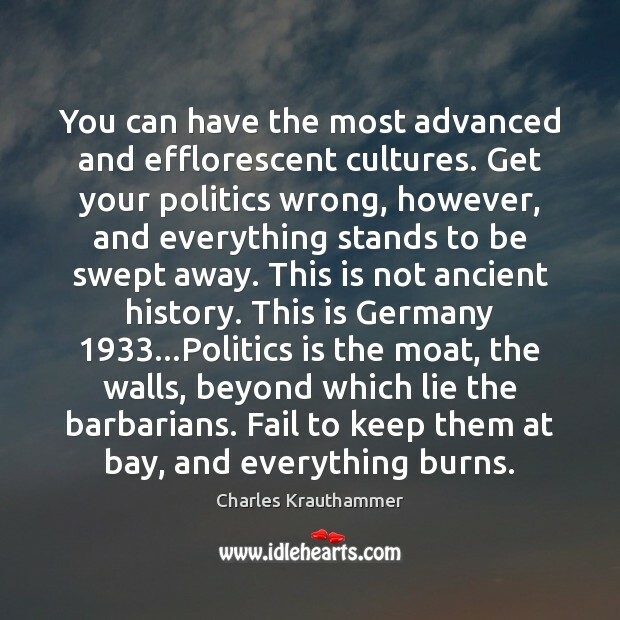 This is Germany 1933...Politics is the moat, the walls, beyond which lie the barbarians. Fail to keep them at bay, and everything burns. 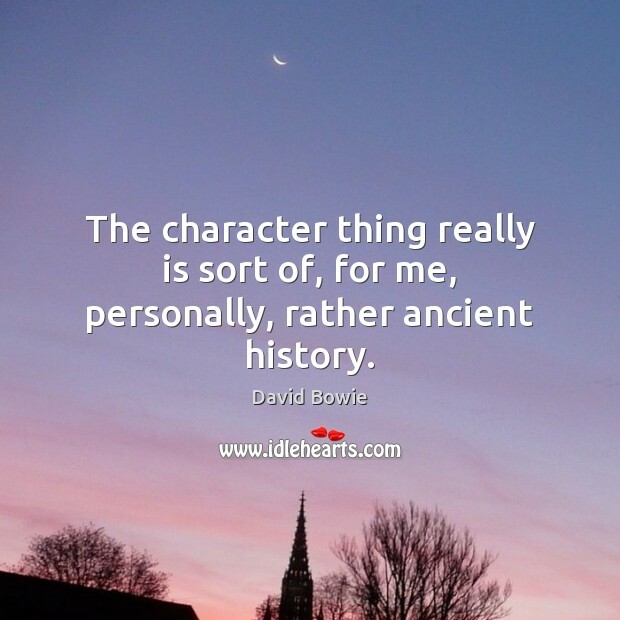 The character thing really is sort of, for me, personally, rather ancient history. 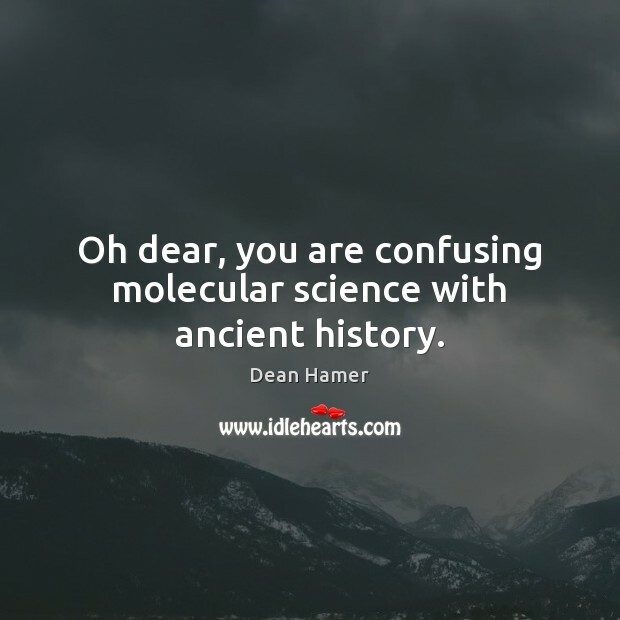 Oh dear, you are confusing molecular science with ancient history.